We all make mistakes now and again, no matter how careful we are. Accidentally locking your keys in the car is an admittedly frustrating mistake to make, but there’s no need to panic or worry if it’s happened to you anywhere in San Francisco, CA area. 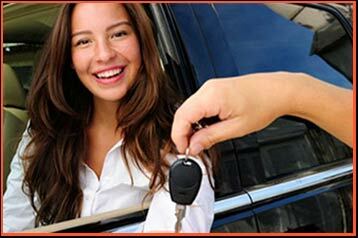 San Francisco Master Locksmith is available round-the-clock to retrieve your keys locked in car. We are a professional locksmith service that has handled countless lock out scenarios during our time in the field. We specialize in quick retrieval – you’ll be back inside your car before you know it. What do I do if I locked the keys in the car? If your keys are locked in the car , then you have a few options. You can ask someone to fetch you a replacement key (if you have one) or go get it yourself. If you don’t have a replacement key, you can get one made from your dealer – which will, of course, take a very long time and cost you a lot of money. Finally, you can get help from San Francisco Master Locksmith. How can you help with lockouts? How can our locksmiths help when you left your keys locked in car ? As soon as you contact us and tell us where you are, we can send a team to your location. It doesn’t take us more than 30 minutes, most of the times, to reach locations in San Francisco and beyond. As soon as we get there, we will use our advanced tools to unlock your car. Will you damage my vehicle? No, our locksmiths don’t cause any damage to the vehicle while unlocking – which could happen if you hire amateurs. We provide many hours of hands-on training to our locksmiths to make them capable of unlocking all types of vehicles without causing damage to the doors, windows, or the locking mechanism. We also arm them with advanced tools that can open all types of car doors, including the ones that are fitted on modern vehicles. What do I do if someone is locked in the car? If a small child or a pet is locked in the vehicle, then you should immediately call our number and inform us about the situation. Our locksmiths will get to your location very quickly, with the help of our mobile units, and have the door open in a hurry. Need help retrieving keys locked in car ? Call 415-366-5837 !